A Juneau man charged with double homicide wants to get rid of his attorney only months before his trial. 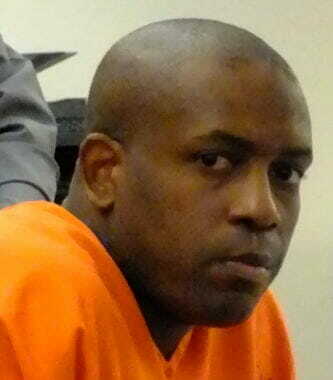 Laron Carlton Graham, 41, said in court on Wednesday that it’s because of irreconcilable differences. Graham has pleaded not guilty to two counts of first-degree murder in connection with the deaths of Robert Meireis, 36, and Elizabeth Tonsmeire, 34. They were found shot to death in a West Juneau apartment in November 2015. A grand jury indicted Graham in February 2018. Natasha Norris, a private Anchorage-based attorney, was initially appointed to represent Graham on behalf of the state’s Office of Public Advocacy. But Graham wasn’t happy with her. “As far as I’m concerned, she’s fired,” Graham said. Norris did not attend the hearing which was video-conferenced between Anchorage and Juneau courtrooms. Graham is currently serving time for previous convictions at an Anchorage-area correctional facility. Graham expressed impatience with Norris’ preparation for trial. It was earlier scheduled for February and now has been rescheduled for Aug. 19. He also openly challenged the validity of the indictments and sufficiency of the prosecution’s evidence. During a special closed hearing next Thursday, Juneau Superior Court Judge Philip Pallenberg will either require Norris to continue representing Graham, terminate her and appoint a new attorney, or allow Graham to represent himself.